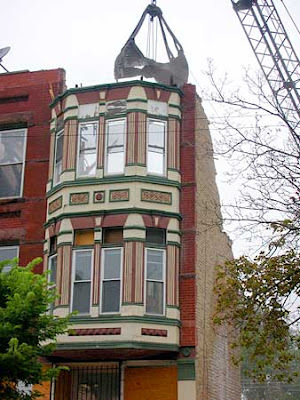 East Village Association | West Town Chicago: More demolition in East Village's future? More demolition in East Village's future? What do you think of when you think of East Village? This "sense of place" may seem like a vague emotion, but everyone from urban planners to real estate agents recognize it as critical to the value of a community. One of East Village’s most distinctive qualities is its vintage architecture. Even people who are not architecture enthusiasts would say original buildings help give our neighborhood its character. These buildings drew the economic reinvestment in the neighborhood in the 1980s. As the neighborhood began to look more habitable to middle-class sensibilities, other new residents began to move in. Household incomes rose 13% in five years, according to Census Bureau estimates. The two East Village census tracts west of Ashland Avenue now have median incomes of more than $60,000. The question of whether these century-old structures should be protected didn’t start with the establishment of the East Village Landmark District in 2006. The Alemeda Theater at Damen and Division, razed in 1971, was replaced by a strip mall. 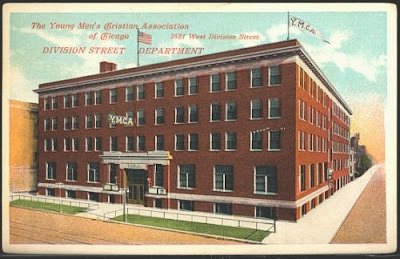 I moved here right after the YMCA at Division and Ashland was torn down (about 1981), replaced by Wendy’s. We were told by the City Council Zoning Committee we should consider ourselves lucky anyone wanted to invest in our neighborhood. 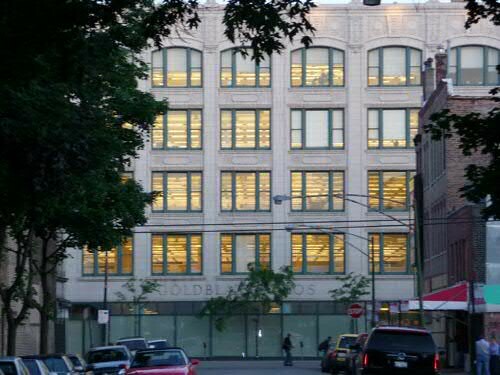 Then there was the recommendation of the local Chamber of Commerce to demolish the Goldblatt's Building on Chicago Avenue at Ashland. The proposed new development was a single-story concrete block fruit and vegetable market with a projected lifespan of 20 years. The East Village Association was the major force in preventing this demolition in 1997. At the time, we recommended using the building for a new library, so this year’s opening of the West Town branch there was a rare happy ending. Residential housing also disappeared at a rapid pace. 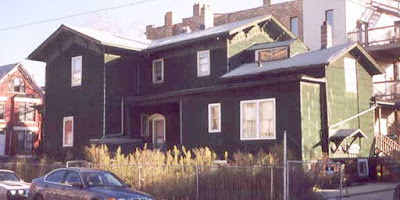 The fifth-oldest building in Chicago, the 1858 Huntley House, was torn down in 2002. 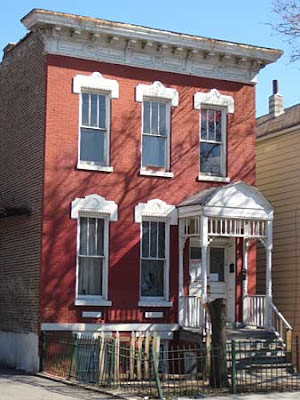 One alternative plan would have established a Chicago version of New York’s Tenement Museum, which is a major cultural tourism and educational institution. This opportunity was lost. 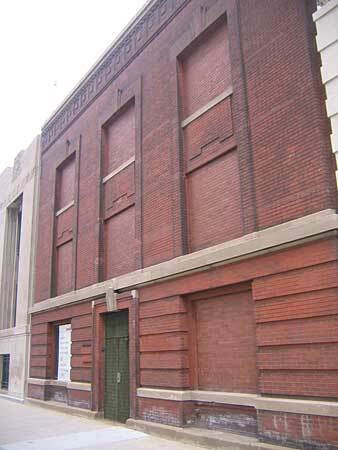 Just east of the Polish Triangle, the city’s second oldest electrical substation, an architectural gem at 1510 W. Division, was demolished in 2008, leaving a vacant lot and further depressing this stretch of Division Street. The damage from demolition has also spread to neighboring houses. On at least three separate instances, careless new construction destroyed the foundations of the adjacent structures. Residents discovered the damage when their bedroom walls separated from the floor and their beds slid into the gap. I followed the first case, where the contractor declared bankruptcy and the affected building owners received nothing. Happily for the new developer, there were now two lots available to make a jumbo building. Even if building owners are careful to demand good construction safeguards, there can be problems. Next-door residents may not have their buildings destroyed, but doors that are no longer plumb and the cupboards that hang slightly askew are permanent reminders that one person’s assertion of their property rights can affect others. In 2004, then-Alderman Manny Flores and the East Village Association asked the Commission on Chicago Landmarks to evaluate the neighborhood. The commission agreed that the area should be protected. The commission said its "19th-century working-class housing, located on Chicago's Northwest Side, exemplifies the importance of small-scale, simply detailed cottages and small flat buildings to Chicago neighborhood history. This ensemble of buildings was home to German, Polish, and other European immigrants who settled in the area in the late 19th and early 20th centuries." This proposal was not welcomed by all property owners, and was one factor that led to a reduction in the size of the landmarked area. Consequently, many buildings outside the district are of the same quality as those within it. Some are even more distinctive. One of them was the area's remaining French Empire-style building at 820 N. Damen, which was demolished on May 13. Ald. Proco Joe Moreno asked the property owner to retain the exterior, but the owner refused. The brief slowdown of demolition in the past few years is simply a byproduct of the economic slowdown. The question of how much we value our neighborhood’s architectural legacy still remains unanswered. There are sound economic and environmental reasons for retaining any existing buildings. The quality of new construction is too often significantly inferior to that of the buildings they replace. Much of the new construction in West Town was built using the split-face concrete blocks, and now require remediation for water and mold damage. Our vintage buildings have stood for well over a century and will last for many more, like the 300-400 year-old buildings so common throughout Europe. 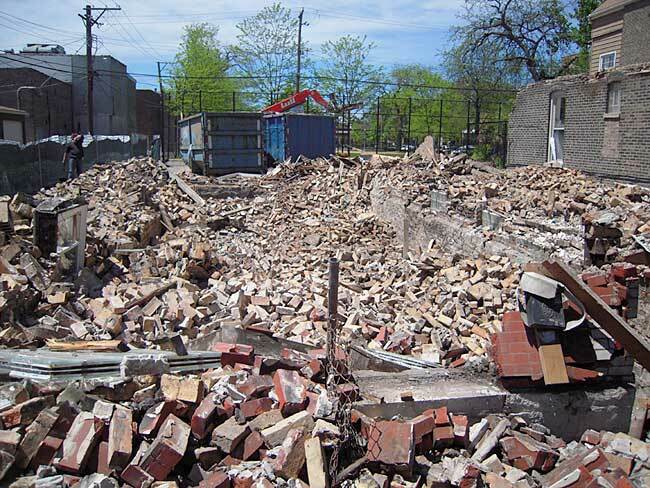 More facts are available on the long-term environmental consequences of demolishing buildings. Some of the real costs of development that have previously been ignored have been quantified. This evidence has been used by some governments to strengthen building codes and regulations to make sure developers pay more of the real costs for their projects. Despite the fact that Chicago had a mayor who was known as “green” and has a purported commitment to mitigating climate change, Chicago remains a city that prioritizes development over environmental sustainability. Finally, research on historic and landmark areas shows that properties in these locations have higher real estate values, and that they maintain these values during times when other areas see their property values decline. We know that some of the cachet of our neighborhood is that it doesn’t look like everyplace else, but with each original building we tear down, we lose part of that specialness. In the short term, some property owners and developers will make money. But if we allow business as usual to continue, one day we’ll find that we’ve killed the goose that laid the golden egg, and will have destroyed a legacy.